I bought food a while ago that was in the sale as I can’t pass up a bargain. One of these bargains was smoked haddock so the obvious next dish had to be Kedgeree. I was late home from work so I cheated a little and bought microwave rice. 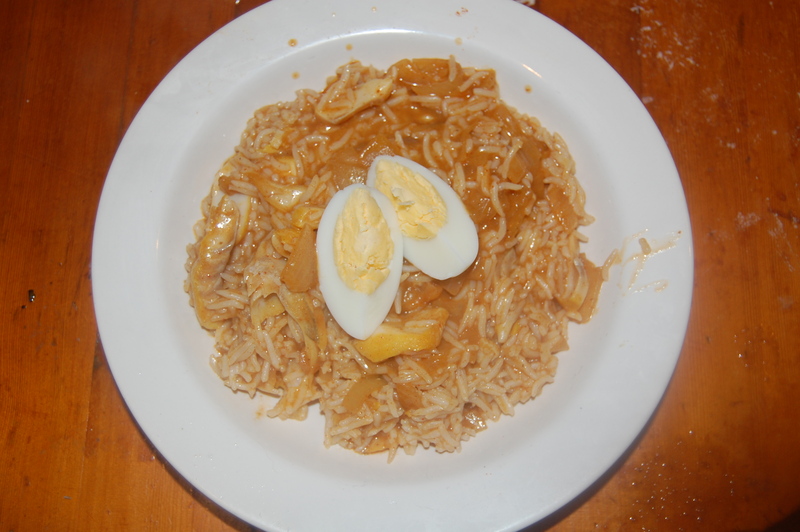 According to Wikipedia Kedgeree is either from India then brought to the UK or from Scotland to India to the UK again. I always thought it was Scottish though. In a small pan boil the eggs for 10mins. 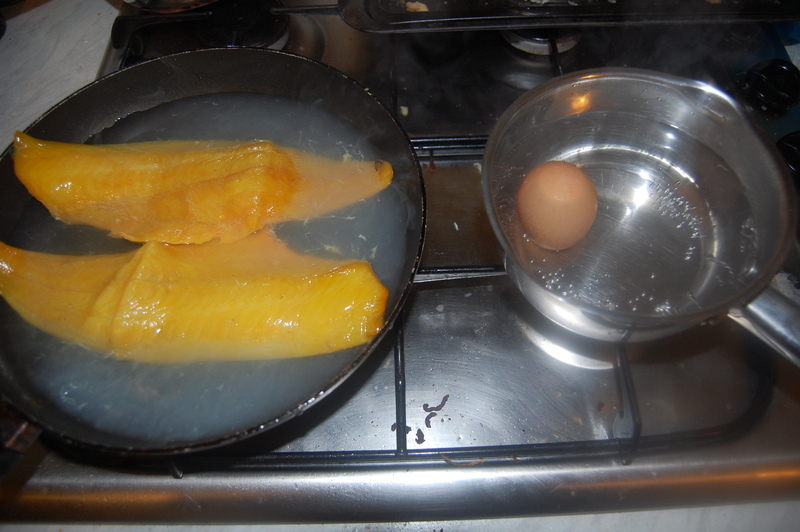 While they’re boiling, poach the haddock in a separate pan for a few minutes. Remove fish and allow to cool. Put fish water to one side. 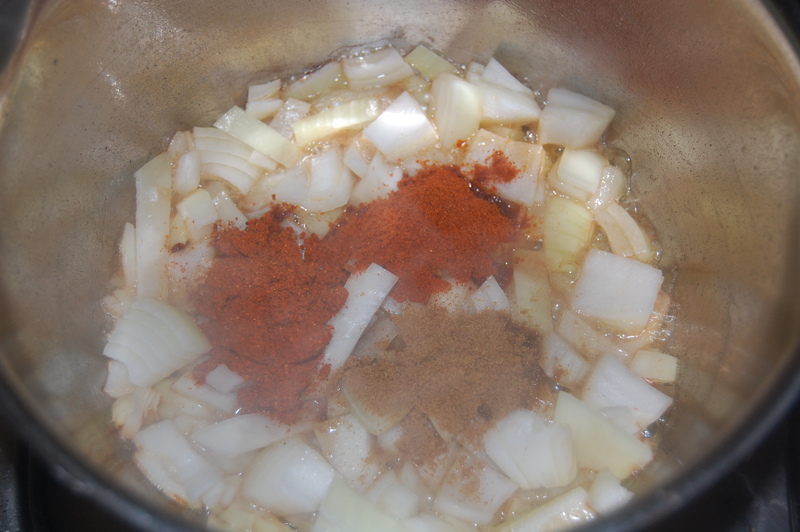 In a saucepan, add some butter and soften the onions. Stir in the chilli, tumeric, curry powder and cumin. 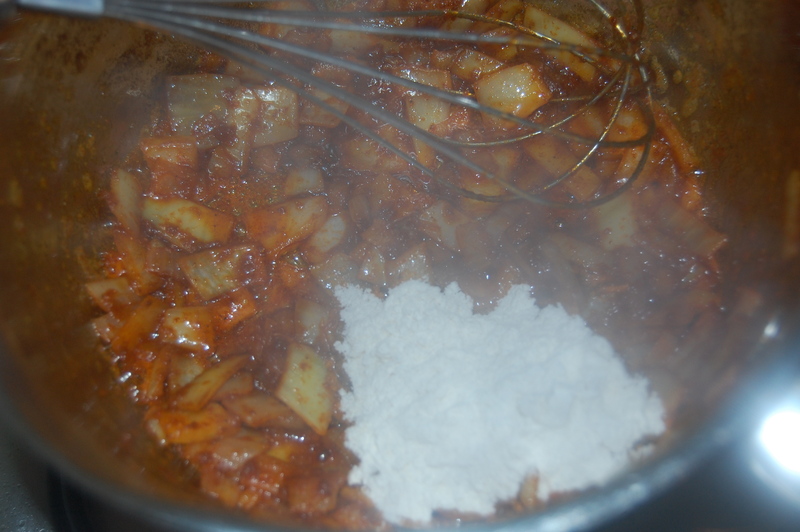 In one go add the flour and stir in. 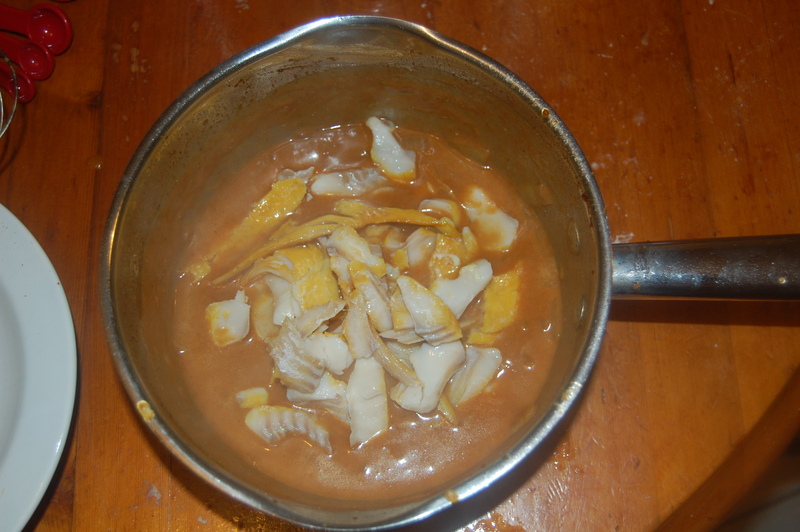 Remove from the heat before gradually adding the fish water. 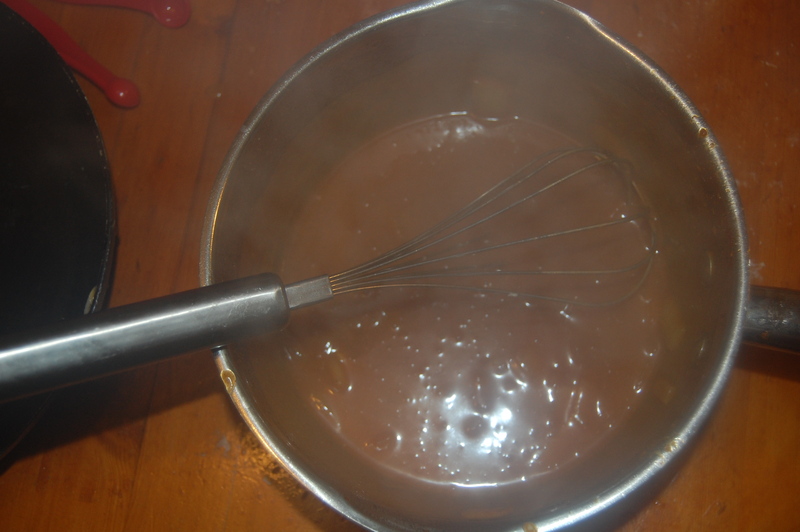 Stir constantly. Flake in the fish straight in to the sauce and stir through gently so as not to break the fish up. The recipe says to serve the fish ‘sauce’ over the rice but I’ve always had the rice mixed in. And it’s done. It looks a lot darker than the photo but that might be the hot chilli. This was so hot, hotter than I remember Kedgeree being. 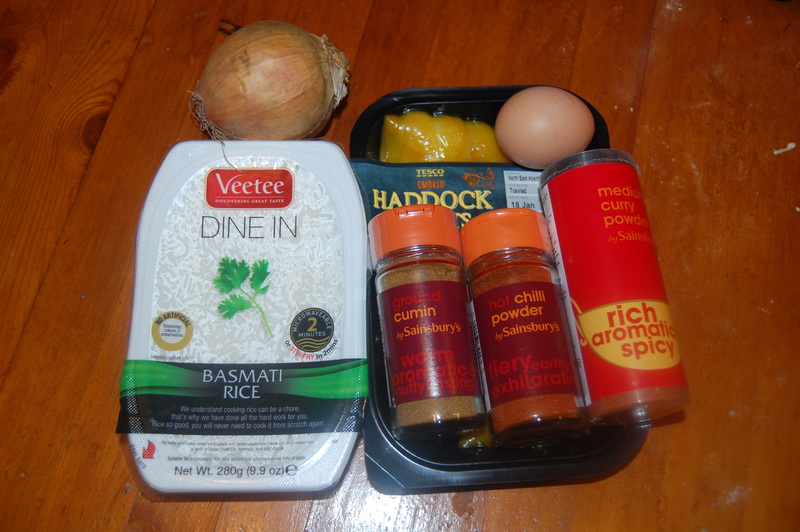 I did use hot chilli instead of medium chilli powder as we like hotter food. 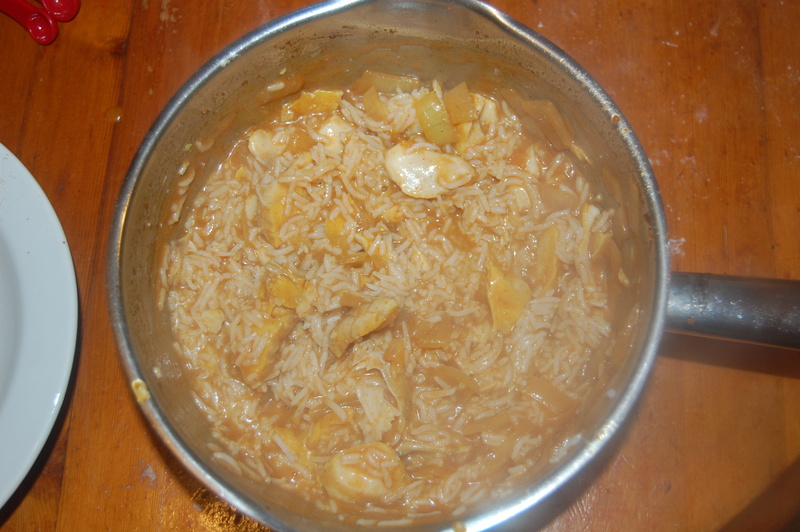 It was so good though, but not really what I was expecting when you Google images of Kedgeree.